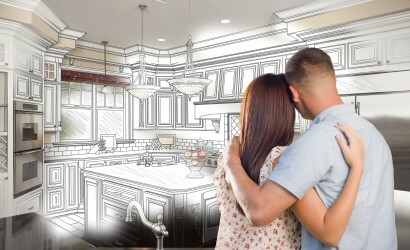 Let the experts help you create your dream kitchen. Learn out how below. Are you looking for the perfect kitchen for you home? Do you feel overwhelmed and confused on what your options are, what the process is like and where to get started? Whether you are looking for quality local made cabinets or creative design, we have over 50 years of knowledge that can help. To put your mind at ease, look at the process we use at Thomas Kitchens, Inc. The next step is getting the perfect kitchen you chose above installed in your home. We are a 100% from beginning to end shop. This means your kitchen will be delivered and installed by our employees, not a sub contractor. We pride ourselves on creating a relationship with our customer and installer so this same employee will stay with you throughout the entire process. As the home owner and our main focus, by the end of the process we expect you to feel like family! 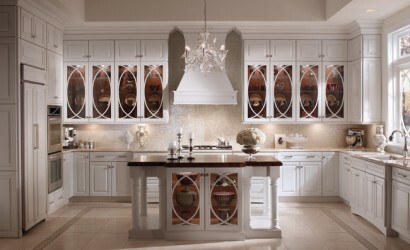 We know not everyone wants their cabinets installed so we also offer non-installed cabinets. If you purchase your cabinets through Thomas Kitchens, Inc and do not want them installed we offer help for home owners and contractors throughout the do it yourself process. So don’t worry you are not on your own! We take pride in our products and installations which means we guarantee service after the sale. Parts and labor or completed covered within the first year. Cabinets and hardware are covered by the manufacturers warranty and will vary by each product. Most of our cabinets have a lifetime warranty!